No Evil shall escape his sight. Straight from the skies above Coast City, California comes founding JLA member, Hal Jordan, Green Lantern of sector 2814. 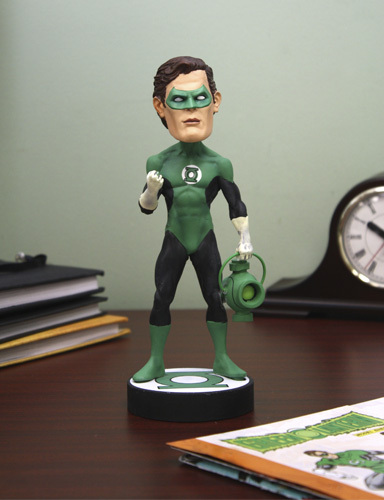 Available this February in our series 2 of DC Classic Head Knockers along with “flying” poses of Superman, and Batman.